Though primarily a medical term, the word ‘cancer’ is increasingly being applied to ideas associated with ‘terrorism’. It is generally understood that cancer is triggered by conditions that exist both within the biological systems endemic to the host and those outside the biological systems, in the environment of the host. Terrorism experienced in India is intense, but its indigenous component is relatively small. It is exported to India mostly from Pakistan and some from elsewhere. At a minimum, the medical allegory calls for the management of cancer-causing factors that are located in Pakistan, suggesting an invasive military surgical operation in Pakistani territory. 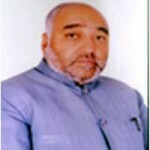 As such, the medical metaphor of cancer to describe terrorism has rather limited value in terms of choosing non-military, communal, socio-political, socio-economic or systemic treatment strategies that are directed towards meeting the aspirations, goals and social welfare of citizens and constituencies. The conflict is likely to be prolonged. The frontline is generally diffused and not clearly defined. The enemy deploys unorthodox weapons and tactics. There are no standard or conventional rules of engagement. Distinction between civilians and enemy combatants is not discernable. The enemy combatants are composed of transactional cohort of decentralised non-state fighters, who are highly dynamic. The enemy combatants blend into the society effectively and hide the militant ideals that motivate them. To achieve their ends, terrorists effectively use the openness of the democratic society, including its guarantee of freedom and religious expression. The enemy combatants use the resources and technologies of the societies they attack. The enemy combatants may or may not seek territorial gains. Curt viewed terrorism as a serious threat to free society just as cancer is to individual well-being. His motivation in tracing the similarities between terrorism and cancer was to sensitise our times to the need for dealing with terrorism through a new approach, one that had more in common with countering a disease. He too recognised that war against terrorism would not be won through the conventional approach during the two World Wars and the Cold War subsequently. A war against a disease is fundamentally of a different nature than a conventional war. Curt also recognised that cancer was a socio-economic disease that proved to be devastating for the poor. Terrorism too, thrives on deprivation, hopelessness, helplessness and inequality. The use of the medical metaphor for terrorism suggests a few approaches to treatment. Long term adherence to healthy nutrition and avoidance of carcinogenic stimuli, are important for the prevention of cancer. Similarly, prevention of indigenous terrorism requires committed strategies implemented over an extended period for economic development in order to eradicate poverty. When risks of cancer are increased by carcinogenic stimuli in the environment that are beyond an individual’s control, public health strategies are commonly instituted. For example, the move to reduce the inhalation of second-hand tobacco smoke. If the propensity for terrorism increases due to stimuli existing beyond its boundaries, India might engage in diplomacy to influence removal of associated risks. 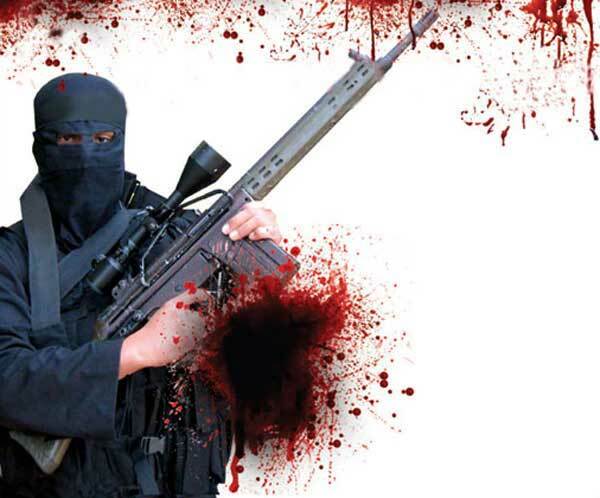 Nearly two-thirds of all terror attacks in India are planned in Pakistan. A major point of contention between India and Pakistan is Kashmir. Pre-partition, about 75 per cent of the population of Kashmir was Muslim. One major consideration for the division of British India was to carve Pakistan out of the region where Muslims were in majority.12 Water is arguably the scarcest commodity in South Asia.13 River Indus is a major source of water for Pakistan and Western India. Controlling Kashmir is critical because this important river passes through it. When British India was split into India and Pakistan, there were Muslim majorities in different parts of British India. 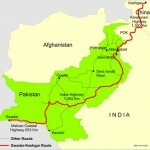 Hence, Pakistan was created both, in the East and the West, separated by nearly 1,700 kilometres! At that time, there were about 570 princely states in British India. These states, along with Kashmir, had the freedom to integrate into either India or Pakistan or to remain independent. The ruler of Kashmir, Maharaja Hari Singh, vacillated for months. Raiders from Pakistan invaded Kashmir during in September – October 1947 to force the Maharaja to submission. The Maharaja escaped to India and sought protection of Kashmir, agreeing on October 26, 1947, to join India. This led to the Indo-Pakistan War of 1947. By the time a ceasefire was agreed upon, on January 01, 1949, India had pushed Pakistan back to create a Line of Control (LOC) that separated about a third of Jammu and Kashmir controlled by Pakistan from about two-thirds controlled by India. Subsequently, China staked a claim on the Aksai Chin part of Kashmir during the Sino-Indian War of 1962. 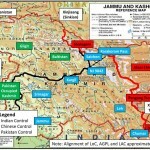 The Chinese are claiming about 20 per cent of the entire Jammu and Kashmir. It is significant that China, India and Pakistan, are all nuclear powers. India describes itself as a secular, democratic republic. This description makes Kashmir important to India. Every state in India has a Hindu majority, except for Kashmir. Giving up Kashmir would compromise India’s claims to being secular. Pakistan too, needs Kashmir. Besides the fact that Kashmir has a Muslim majority, it gives the Pakistani military legitimacy for exercising power on a nation-wide scale, ostensibly in national interest. If the conflict between India and Pakistan over Kashmir were to be resolved, Pakistan’s military would have no legitimacy to remain on the national scene and would have to retreat to its barracks. Continuation of the perception of Kashmir issue as a threat to Pakistan’s national security, keeps the military in position to play a role in the governance of Pakistan, directly, through surrogates or through influence. Although India claims all of Jammu and Kashmir to be its part, the LOC has served as the de facto border between India and Pakistan for the past 71 years. However, the ongoing infiltration indicates that this is not acceptable to the Pakistani military. Much of the conflict experienced in India, comes from its neighbouring nations. Since the primary source is Pakistan, this essay focuses mainly on terrorism launched out of that neighborhood. The management of its terrorism challenge presents India with four options: (i) treatment of the indigenous problem, (ii) diplomatic collaboration with neighbouring countries, (iii) counter-insurgency to deal with cross-border infiltration of terrorists and (iv) surgical intervention well within the territory of the neighbouring countries harbouring the staging grounds from where terror attacks against India are launched. Let us review the history of each of these responses. 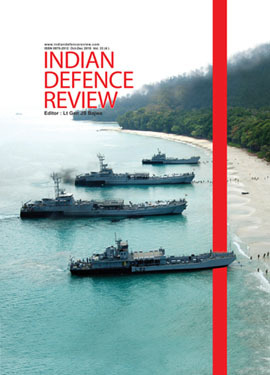 Insurgencies experienced in India may be classified in three broad categories – those seeking (i) political rights, as in Kashmir and in demand for Khalistan out of Punjab (ii) social and economic justice, as in the case of Maoists or Naxalites and populations in the North-Eastern states of Assam, Arunachal Pradesh, Meghalaya, Manipur, Mizoram, Nagaland and Tripura, collectively referred to as the Seven Sisters and (iii) religious identity, as in Ladakh.14 The insurgencies in Kashmir and Punjab may be viewed in political terms. As stated before, a number of these insurgencies include exploitation by foreign elements. Nevertheless, the indigenous causes of dissatisfaction create a fertile ground for foreign elements to exploit. As stated by Shahid Siddiqi, “During and after the colonial rule, territories were lumped together to form new administrative and political units or states, in many cases, without taking into account the preferences and aspirations of the people. For the people of these territories, amalgam amounted to loss of identity, freedom and rule by aliens. Democracy, in many cases, brought no political or economic advantage.”15 Caste is another social factor, contributing especially to the Maoist insurgency. The caste system effectively allows a powerful minority exercise a hold over the weaker majority through practice of ancient discriminatory customs. Overlapping with this is the issue of poverty. Various measures to improve quality of life and social justice, including sanitation, clean water, healthcare, nutrition and job opportunities, are correlated with the uneven distribution of wealth and resources.16 To address the threats to India from homegrown insurgency, it is critical that India give due attention to economic development of hitherto neglected regions and citizens along the identities of caste, ethnicity, language, religion and various other dimensions. However, as far as terrorism is concerned, eradication of poverty would address less than a third of India’s total terrorism challenge.